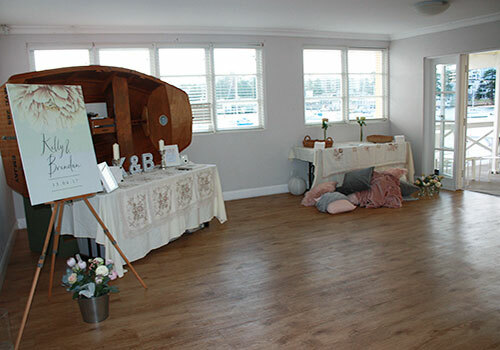 The hall is spacious, airy and filled with natural light with 3 metre high ceiling and windows facing East Esplanade as well as double doors and windows leading out onto the balcony with expansive water views. The bar includes a fridge (870 litres) for your drinks, double sink, electric urn and access to the sound system. The hall also has a 70 inch TV mounted on the wall opposite the bar. The sheltered balcony offers breathtaking views from Manly Wharf, around North Harbour and southwest to face the sunset over Sydney Harbour National Park. Ideal in all weather, the covered balcony offers protection from strong summer sun as well as heavy rain. A built-in gas barbeque is situated at the end of the deck near the doors to the kitchen. Double front doors open into the entrance foyer. This bright room has windows on two sides with harbor views and opens on to the balcony as well as leading into the hall. This room can be utilised as a children’s play area, quiet lounge setting, photobooth setting or wishing well. 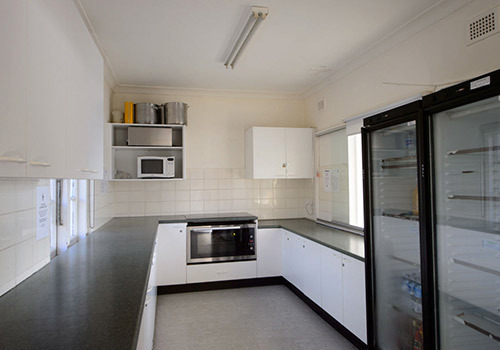 The kitchen leads off the deck and has a fridge/freezer for catering as well as an additional drinks fridge, electric oven, four ring electric hob, microwave and plenty of bench top work space. 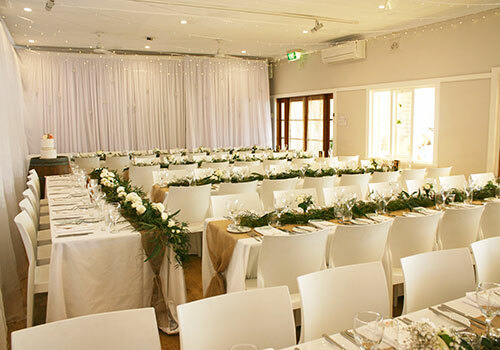 We have 100 white café style comfortable chairs, 18 trestle tables (183x76x74 high) and 4 tall round silver bar tables included at no additional charge. Subject to change without notice. We do not have cutlery, crockery, glasses or table linen. 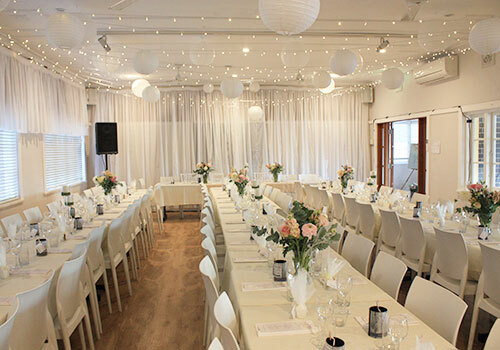 These can be hired locally from suppliers such as Event Hire Services or AVA Party Hire who both also stock a variety of furniture and decorations. 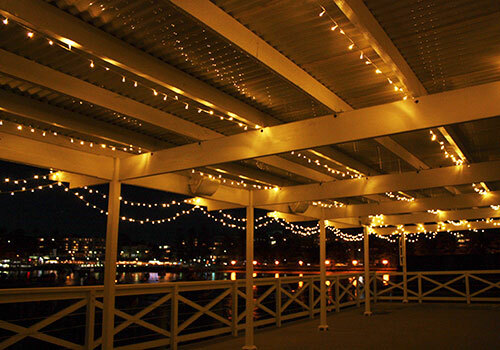 You are welcome to use any hire company and any other provider to service your function. See our suppliers page for our recommended suppliers who regularly service functions at our club. 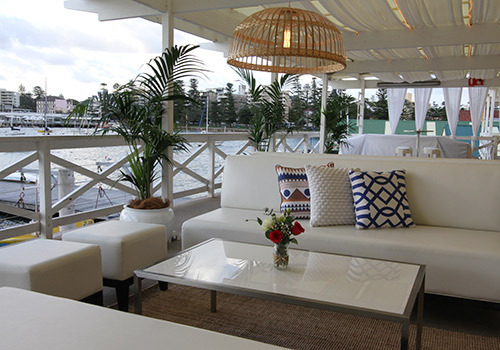 You have full control of the expenses for your function which can make Manly Yacht Club a more economical venue. We have several optional extras available. These can be booked any time up until the week prior to your function. The balcony drapes are a fine white fabric which run through the rafters and tie neatly on the balustrade behind the barbecue. The cost includes delivery, installation and taking them down afterwards. The hall drapes are a fine white fabric which cover the honour boards on the street wall hanging down about 1 metre, and cover the full length of the back wall from ceiling to floor. They drop down over the TV or fit around the TV if you wish to book the TV too. Warm white fairy lights hung across the hall ceiling. The cost includes delivery, installation and removal. Warm white fairy light hang between the rafters on the roof edge. The cost includes delivery, installation and taking them down afterwards. 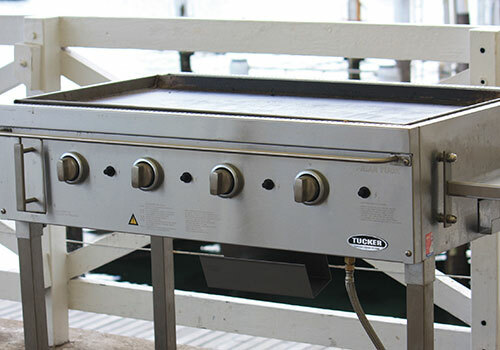 Large gas portable barbecue with two flat plates and steel cover. Can be wheeled out of the way. You are required to clean the BBQ after use. 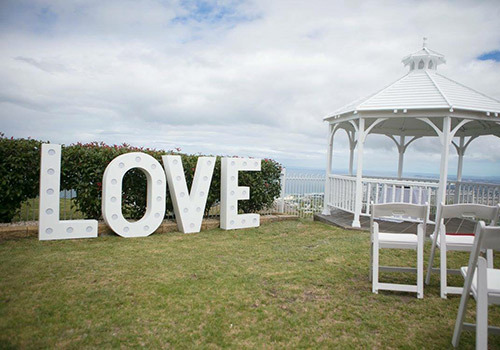 Giant white free standing LED LOVE Letters. These can be set to white or colours and can flash or stay constant. Sound system with cordless microphone, amplifier, mixer, indoor and outdoor mounted speakers. Suitable to connect your laptop, phone, iPod or MP3 player via an auxiliary cable connection. The speakers are mounted on the balcony with a second set mounted in the hall with separate volume level controls. 70 inch LED TV/Monitor/Screen with HDMI, PC monitor (DVI-I male), VGA, and Chromecast connections. WIFI – Wireless broadband internet. Whiteboard/flip chart, pens and 2 pads can be hired for corporate functions.